In the hairstyling world, there are a few things that we like to educate our clients on. One of those is aftercare because it is such a huge part of maintaining healthy, pretty hair. Following a color service, your hair is typically more vulnerable to the world around you and the chemicals that you choose to use on your skin and hair. Sodium laurel sulfates or sodium laureth sulfates are surfactants that you can find in your shampoos and soaps. These surfactants are put into shampoos to create that big, soapy, lather we all love. But, little does the consumer know, that same lather is causing a multitude of issues on not only your hair but your skin too. According to the Journal of American College of Toxicology, it is considered safe to use sulfates below 1 percent in our products for short periods of time, but shampoos that contain sulfates could have around 15 percent. These sulfates can cause different issues depending on the condition of your hair and skin. 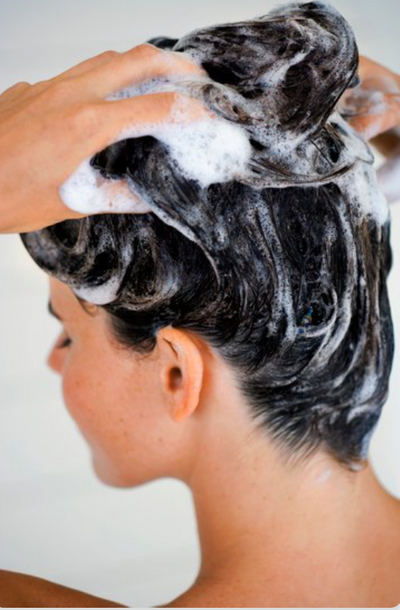 Sulfates in your shampoo can cause dryness, color fading, dry skin, skin irritations, and breakage. Sulfates are in there to rid your hair of dirt and oil, but they simultaneously strip your hair of its natural oils. This results in your hair over-producing oils to compensate, which can eventually lead to chronic oily hair. For people who enjoy getting their hair colored or even people who don’t, it’s best to stay away from sulfates in shampoos and conditioners for the health of your hair. Sulfate-free shampoos are amazing and still give you that clean feeling without the damage and dryness. My favorite sulfate-free shampoo is Pureology’s Hydrate Sheer and my favorite conditioner is Only by Nina Fitzgerald. This shampoo-conditioner duo is the perfect combination because I need the cleansing properties of the shampoo, and the hydration and the pH balancing from Only. Remember that your shampoo and conditioner routine is important and when you're shampooing and conditioning your hair, you're also putting those products on your skin; it’s skincare for your hair!